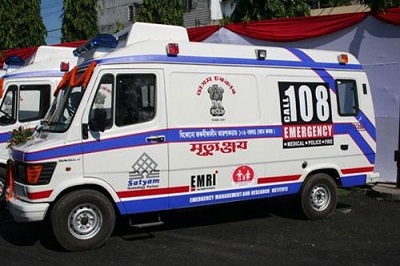 Employees of the 108 and 102 ambulance services on Friday took part in a protest march from Dighalipukhuri in Guwahati demanding that operator GVK-EMRI pay them increment and other benefits. A report published in the The Telegraph stated that the employees have decided to go on a “ceasework” from September 5 next if their demands are not met. The report further stated that the All Assam 108 Mrityunjoy Employees Association alleged that the Hyderabad-based GVK-EMRI has been flouting norms to make “maximum profit”. It alleged the company has been giving false assurances and threatens to dismiss the employees on the slightest pretext. It also questioned the role of the State Government as “instead of looking into the employees’ allegations and demands”, it slapped the Essential Services Maintenance Act (ESMA) on the service and robbed them of the right to protest against “injustice”. The association said GVK-EMRI had not got the service rules certified by the Labour Department. It said after it brought the discrepancy to light, the department recently certified the service rules under the Industrial Employment (Standing Orders) Act, 1946. But the new service rules are yet to come into effect even after eight months, it said. The employees are being forced to work for 12 hours instead of the mandatory eight, violating labour laws, it alleged. They are also being deprived of equal pay for equal work, it said. The department has pulled up the company for violating labour laws. The employees alleged that increment was stopped in the financial year 2015-16. The association members expressed concern that the company might leave at the end of its agreement in a few months and they would be left “high and dry”.